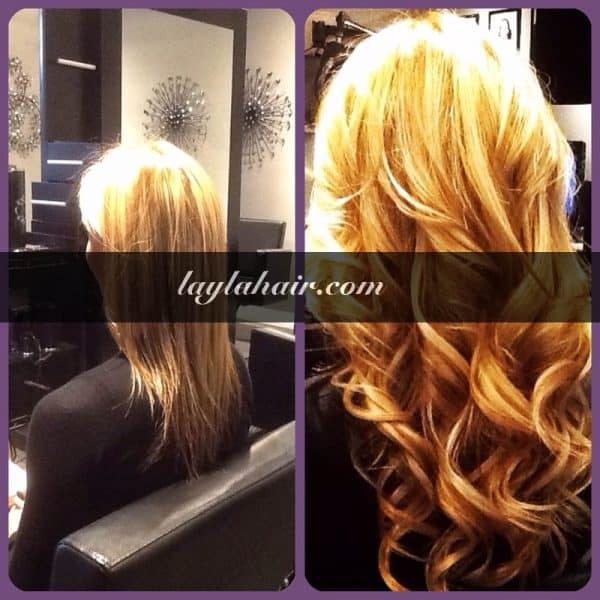 Nowaday, tape-in hair extensions are an indispensable part of the everyday life of women. There are many types of hair extensions, when you know the usage of each type, I believe You will choose the right hair type for you. 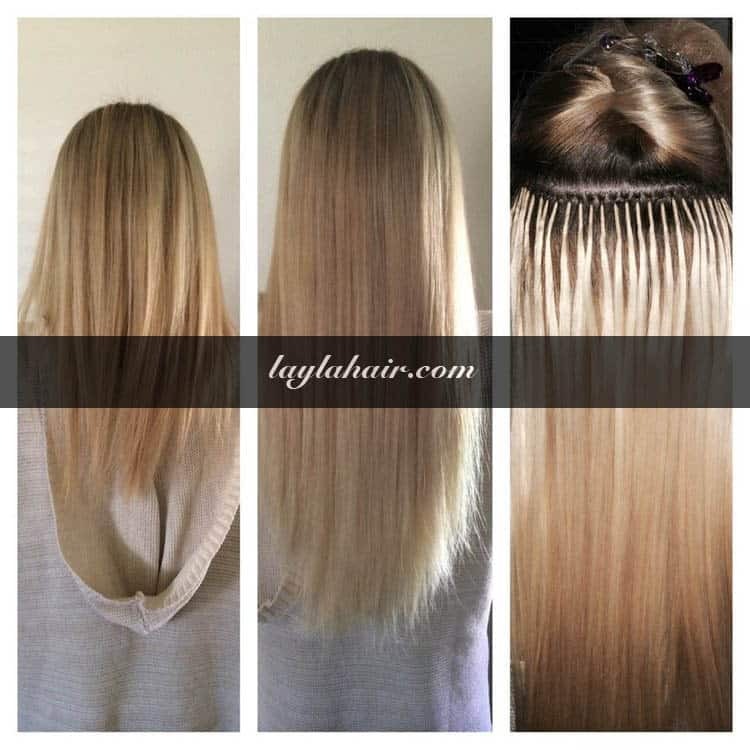 Today I will give you some tips to let you know how to use tape-in hair extensions. Wash and dry your hair completely before starting. That way, your tape-in hair extensions will last longer! If you have dirty hair when you’re trying to adhere the wefts, they’ll come out quicker, usually at the worst time possible. Like when you’re standing with your friends and running your fingers through your hair, and suddenly a giant patch comes out in your hand. It’s easiest to start from the bottom of your scalp and work your way up. Start your first row an inch or two up from the bottom of your scalp. Using a comb, part your hair evenly. Pull the top half up and secure it, leaving the bottom half hanging down. This section of hair is going to be sandwiched between two extensions. It’s important that the adhesive “tape” on the top extension touches that of the bottom extension, so that the two stick together. Use your comb to get a nice even section, that is as wide as one of your extension wefts. A good way to tell if your section is thin enough is attach the bottom extension in place, flush against your scalp. Once you’ve done that, use your finger to see if you can feel the stickiness of the tape through your own layer of hair. If not, use your comb to carefully pull some of your hair off of the tape. When you can feel the sticky, attach the top extension. Press the top and bottom wefts together firmly, for about 20 seconds. Just make super extra sure that they’re stuck to each other, so water won’t get between them while you’re showering and make them come out. Make sure you place the wefts right next to each other, avoiding gaps. When I was finished, I had 5 rows of wefts going up my scalp. You have to be extra careful not to place the wefts too high on your scalp, because that also puts them at risk of being visible. Tapes hair are the simplest way to use. You can ask your friend for help or do it in front of the mirror with some tips above.